It will take years and millions or even over a billion dollars to complete the process, and most potential medications never make it through all the stages. First, before clinical trials with animal and then human subjects, before paperwork is submitted to federal organizations, before millions of dollars spent on marketing, there is just an illness and a desire to treat it. An excellent brochure by innovation.org called "Drug Discovery and Development," starts its explanation of the process with just such an encounter. In a phase they call 'Pre-discovery,' researchers work to understand the cause of an illness enough to select a 'target,' which is a gene or protein connected to that illness. After choosing that target, the scientists must show both that it is indeed involved in the disease, and that it can be impacted by a drug. Researchers demonstrate this through a series of experiments on living cells and animals. Human subjects will not enter the scene for some time yet. Here the search for the drug--or really what is only a 'lead compound'--begins in earnest, with scientists looking for one that can act on the target to alter the course of the disease. Then come early safety tests--still well before clinical trials. Using animal and computational models and living cells, scientists work to determine the safety and efficacy of the drug. They must ensure that it's not toxic, that it can be safely excreted by the body, and that it has potential to be absorbed through the blood stream to reach the target site. Then biologists and chemists work together to change the structure of the best lead compound candidates to make them safer and more effective. They make hundreds of variations, and now, for the first time, they start to envision a formulation that will hold the compound (what active and inactive ingredients should be used), a delivery mechanism (should it be swallowed? inhaled? injected? ), and even a means for mass-marketing the compound, should all their efforts succeed. The Food and Drug Administration (FDA) estimates that this stage takes 1-6 years. Although the FDA regulates drug development, it plays a small role in preclinical stage research. When the FDA really kicks into gear is once a company determines that their drug product is effective in animals, and human trials are set to begin. 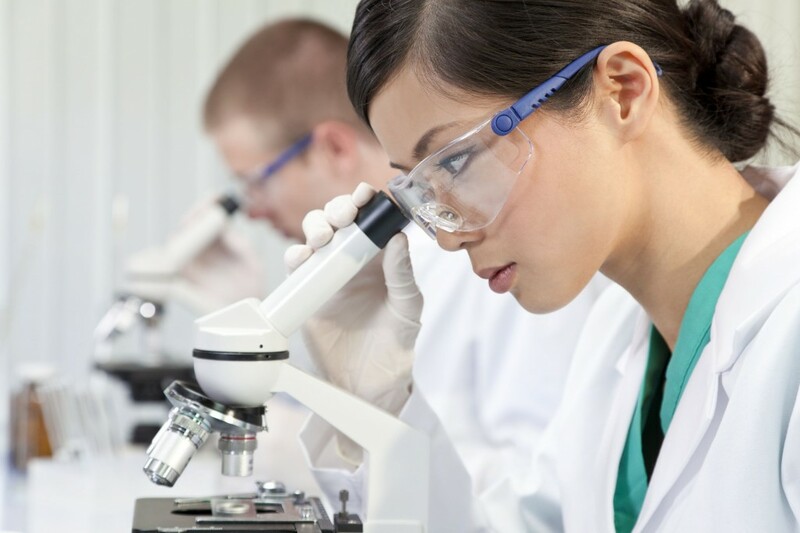 In the final part of the preclinicial research stage, the drug's sponsors submit an Investigational New Drug (IND) application to the FDA which reviews it to ensure the compound is safe for use in clinical trials. This application goes into effect if it is approved by the FDA within 30 days. At the same time the drug-makers must also submit an application to the Institutional Review Board (IRB) to approve the safety of their clinical trials. The drug company is responsible for updating the FDA and IRB regularly with its progress. Thus begins the three phases of the clinical trials, whose purpose is to test the potential new drug in humans. The National Institute of Health defines Phase I trials as the phase where researchers first test a new drug in a small group of people to "evaluate its safety, determine a safe dosage range, and identify side effects." If all goes well, the compound will progress to Phase II trials. Here the drug is given to a larger group of people to help determine efficacy and further ensure safety. Typically 100-300 volunteers, with the targeted disease this time, participate. Generally the subjects are divided into three. One group takes the drug being tested, one takes a placebo, and one takes a medication that has already been approved to treat the disease being targeted. These studies are 'blinded', in that the subjects aren't told what they're being given, in an effort to avoid bias. These studies are 'double-blind', meaning that neither the subjects nor those running the study know who is receiving the target drug versus a placebo or another treatment. Taking years to complete, Phase 3 trials are the longest of all the phases as well as the most expensive, costing around $86.5 million. They occur at multiple sites around the world in order to garner the most diverse group of subjects. The IND application through Phase 3 trials generally takes 6-11 years. The drug has a 64% chance of successfully passing the Phase 3 clinical trials. If all goes well here, the drug maker will then file a New Drug Application with the FDA. The FDA itself notes that requirements have continually expanded for new drugs. In 1980, a typical drug needed 30 clinical trials with about 1500 subjects. But by the mid-90s, a drug would need to undergo over 60 clinical trials with 5,000 subjects. The New Drug Application (NDA) is submitted by the drug-maker to the FDA after all phases of clinical trials are complete. It is a request for a license to market to the drug. Every new drug since 1938 has received an approved NDA, according to the FDA. Easily running 100,000+ pages, the NDA must include all the information from all the previous stages, plus a proposal for manufacturing the drug. Writes the FDA, "The documentation required in an NDA is supposed to tell the drug's whole story, including what happened during the clinical tests, what the ingredients of the drug are, the results of the animal studies, how the drug behaves in the body, and how it is manufactured, processed and packaged." Given the risks and benefits, what information should go on the package insert to help physicians know how best to utilize the new drug? Are the manufacturing methods appropriate enough to ensure the drug's purity and strength? This is not a short process, usually taking between 0.6 to 2 years. The average length of time for an NDA is 12.9 months, and the chances of a compound from the preclinical stages actually getting approved here is a mere 8%. After approval the drug is ready to be made available for doctors to prescribe. The drug company must till submit reports from time to time to the FDA if side effects occur after the drug has been approved. But there is more still to do. Even after the lengthy FDA review process, large-scale manufacturing of the drug will take another 2 years. For some medications, the FDA requires additional studies even after the original approval and marketing. These are called Phase IV trials. Their purpose is to get more information on the drug's effects in varied populations and on side effects that become apparent after longer-term use. The Burrell Report Biotechnology Industry 2006 paints a picture in numbers of the likelihood of a drug's success throughout these stages. The drug discovery phase starts with 10,000 compounds. It is only after the researchers have tossed aside 9,750 as useless that they are ready to send 250 into preclinical trials. Out of the 250 initial compounds, only 5 will remain as viable for clinical trials. These trials and will result in one drug to be submitted for FDA approval. Thus it is many long years--and millions if not billions of dollars--before a drug (the lucky surviving drug, after many failures) makes its way into pharmacies--and your medicine cabinet. That is the dicey, expensive and extensive process of drug development and approval. It is not for the faint of heart or slim of pocket.